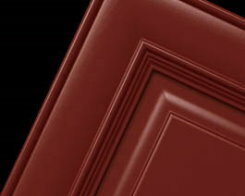 Each Conestoga finish carries a one-year warranty against peeling, blistering and cracking. Many natural characteristics present in wood may effect how stain is absorbed, causing mild color deviations. Actual color may differ from what appears on your screen due to variations in computer monitors.